There is nothing better than chocolate at Thanksgiving! Pair it up with something healthy and you’ll feel good about your food choice. Melt chocolate with coconut oil in double boiler or in microwave. If using the microwave, be sure not to overcook chocolate. Stir every 30 seconds until melted. Dip apricots in melted chocolate. 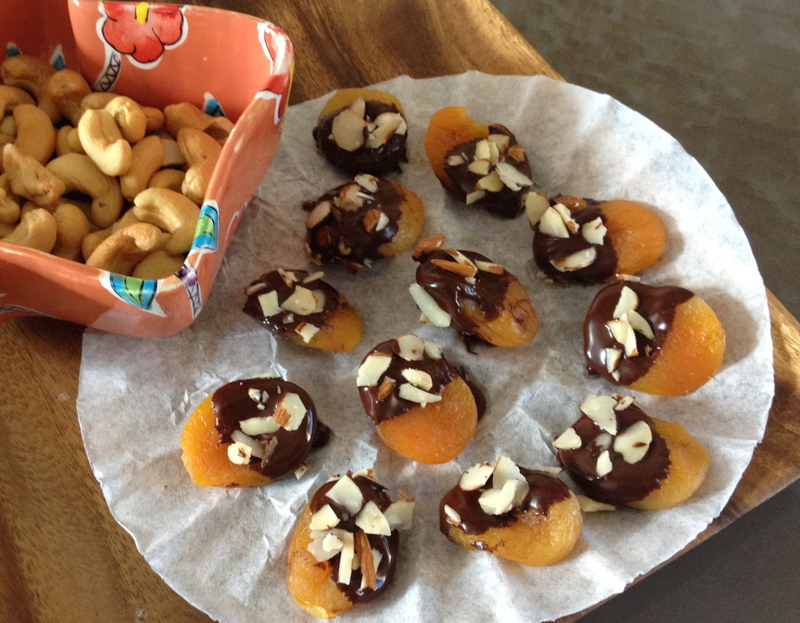 Sprinkle almonds on chocolate covered apricots. Lay apricots on parchment paper and let stand at room temperature or in fridge until chocolate hardens. Serve at appetizer or dessert.